Spode Christmas Tree has graced tables all over the world since 1938. The pattern feature's a green banded traditional Christmas tree design. 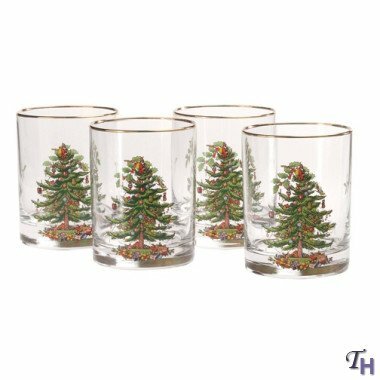 Each year this beautifully classic pattern adds an extensive array of new dinnerware, accessory and giftware item's to its range. There is no better holiday tradition than the gift of Spode Christmas Tree. 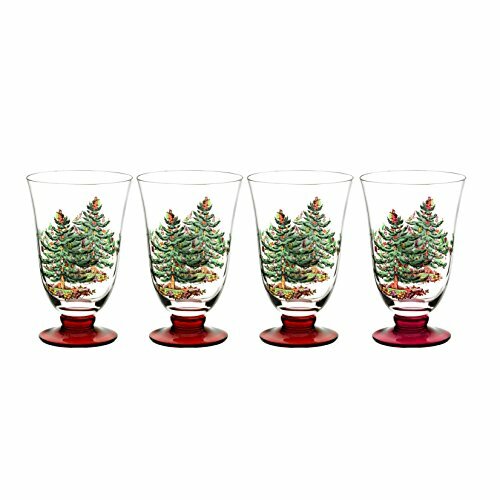 Add new festive cheer to your dining table with these beautifully designed All Purpose Goblets with dramatic red stem. Each glass has a 18 oz. capacity and comes in a set of 4. Spode has been making exquisite china for years. 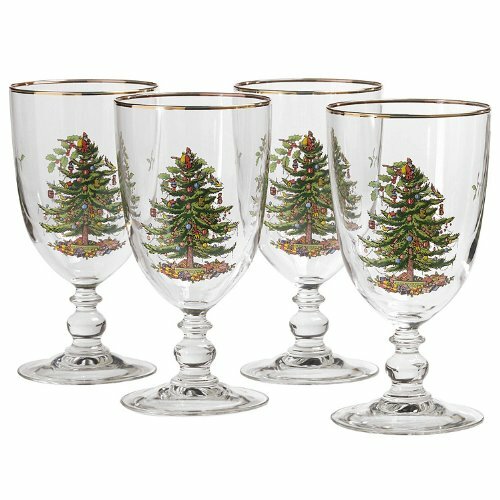 SET OF 4 GOBLETS WITH THE CHRISTMAS TREE DESIGN AND A GOLD RIM. 7" TALL HAND WASHING RECOMMENDED. 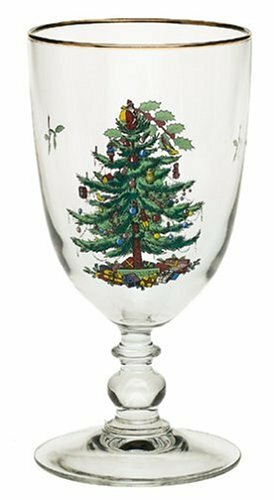 Spode Christmas Tree is an invitation to a charming table that becomes a family tradition as your collection and memories grow. 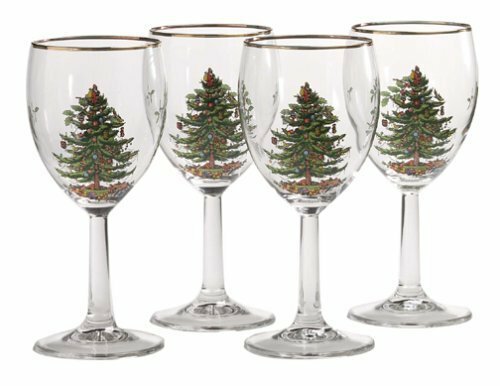 The Christmas Tree set of 4 clear hand-decorated stemmed wine glasses are a charming addition to the place setting or as barware. 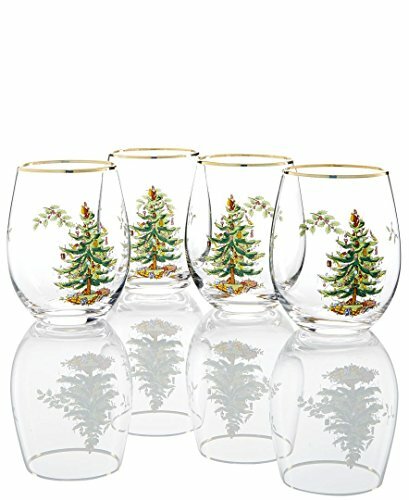 The glasses are each decorated with the classic Christmas Tree design, trimmed with 22 carat gold. 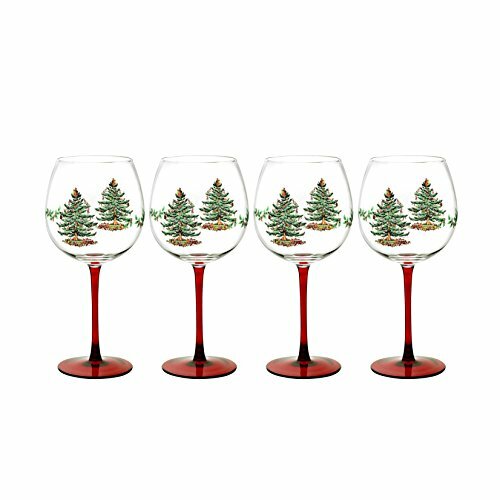 The set of 4 wine glasses are made in the USA of Spode and gift-boxed for holiday gift-giving and safe storage. Spode Christmas Tree has graced tables all over the world since 1938. The pattern feature's a green banded traditional Christmas tree design. 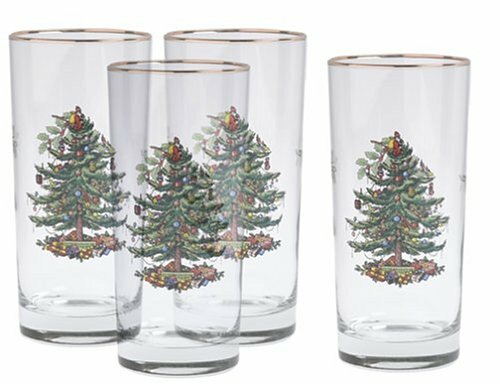 Each year this beautifully classic pattern adds an extensive array of new dinnerware, accessory and giftware item's to its range. There is no better holiday tradition than the gift of Spode Christmas Tree. 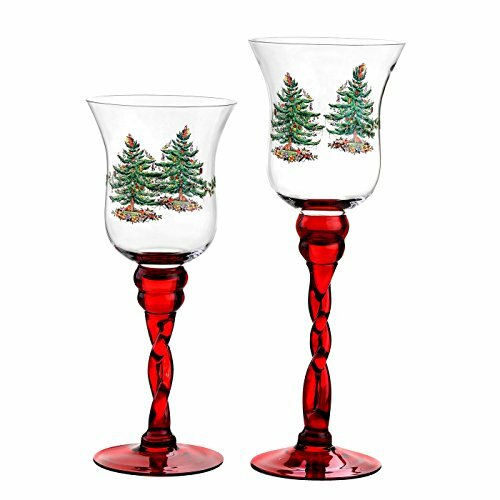 Add new festive cheer to your dining table with these beautifully designed Wine Goblets with dramatic red stem. Each glass has a 15 oz. capacity and comes in a set of 4. Spode Christmas Tree has graced tables all over the world since 1938. The pattern feature's a green banded traditional Christmas tree design. 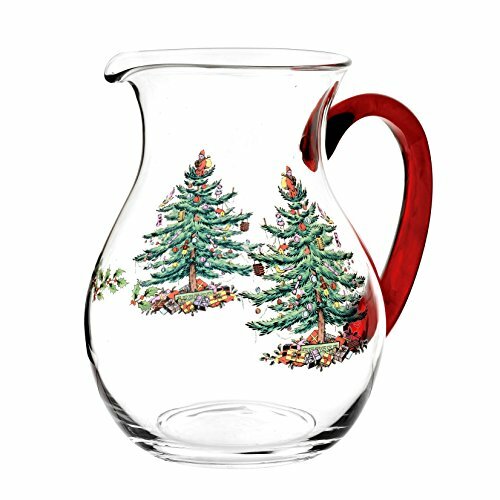 Each year this beautifully classic pattern adds an extensive array of new dinnerware, accessory and giftware item's to its range. There is no better holiday tradition than the gift of Spode Christmas Tree. These stunning candleholders add a festive warm glow for every moment of your holiday season. The set includes 1 each, 10" and 11.75" tall candleholder.